Prince George, B.C.- The BC Wildfire Service is beefing up its aircraft to support those working on the ground to battle the fires in the province. The BC Wildfire Service has a fleet of 32 contracted aircraft and nearly 200 additional contracted helicopters that have already joined the fight. 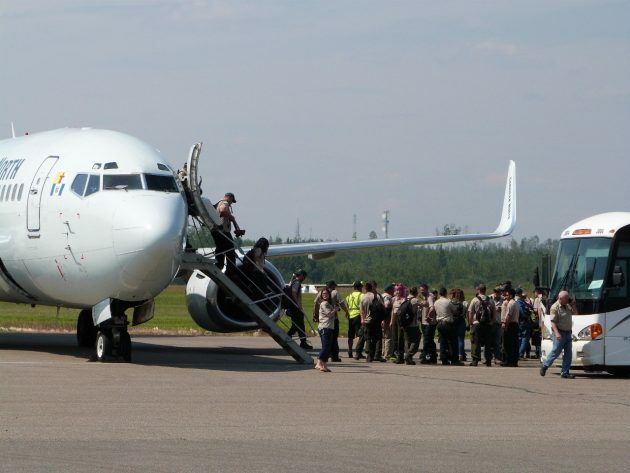 Ten firefighting aircraft have been brought in from other Canadian provinces, including seven airtankers and three “birddog” aircraft which help co-ordinate airtanker operations from the air. The Canadian military is also prepared to help and has Joint Task Force Pacific liaisons embedded at the Provincial Emergency Coordination Centre in Victoria. Emergency Management BC worked with Public Safety Canada to pre-position transport aircraft and crews through a formal Request for Assistance. If the need arises, these aircraft would assist with emergency response operations such as evacuations. Emergency Management B.C.’s Robert Turner says the military aircraft would only be used as a last resort should all ground transportation routes be impassable. This morning I watched a couple twin engine bombers take off, think they were CL 215’s. Anyone know? Just checked the Reg. No. on the plane. It’s a Canadair CL-215-6B11 (Series CL-215T) noted two flying out of our airport. Thats awesome, thanks for the support and be safe! That is good news , we need all the help we can get. Not even are usual real hot time of year , that comes in about 2 weeks. Maybe they should ask this company to show up. Global supertankers. Look it up. Already did, look like 215’s. Awesome. This is why I pay taxes,it looks like all levels of government are working as a team and the public has stepped up. Good thing the airport was upgraded to handle a real jet plane. Even though governments are involved, it appears as if things are well organized, there seems to be a lot of cooperation and good coordination. The extra firefighters from out of province will provide much needed relief.